If you are looking to improve your smile, beautiful, custom-fitted veneers from Keene Family Dental can provide the answer. Veneers are wafer-thin, custom-made shells that cover the front surface of teeth. Bonded to the front of the teeth, changing their color, shape, size or length, veneers can be made from porcelain or resin composite. 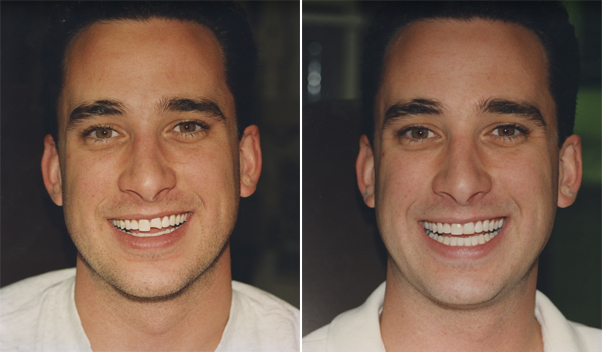 Veneers offer a conservative approach to changing a tooth’s color or shape compared to crowns. Veneers are thin, custom-made moldings that cover the fronts of unsightly teeth. They are crafted from tooth-colored, high-tech materials to portray a natural, bright smile. Veneers are intended to last for many years. Unlike most bonding materials, veneers will not change color over time. You should consult with Dr. Ross at Keene Family Dental to find out exactly how long veneers will last in your mouth. 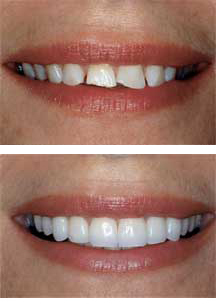 Notice how dental veneers can restore your smile and confidence. The tooth is reshaped initially to allow for the added thickness of the veneer. A molded impression is taken of the reshaped tooth and sent to a dental laboratory where the veneer is custom-made to fit your mouth. The veneer is applied with adhesive material which bonds it to the original tooth structure. 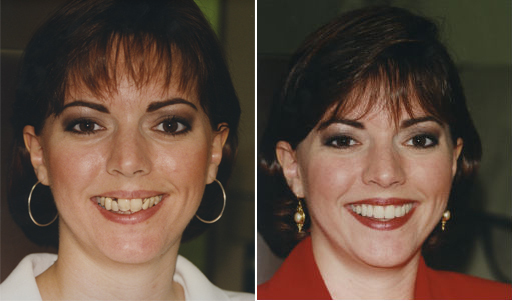 Dental Veneers will change your smile and change your life! Veneers generally cannot be damaged by abrasion from your toothbrush or floss. 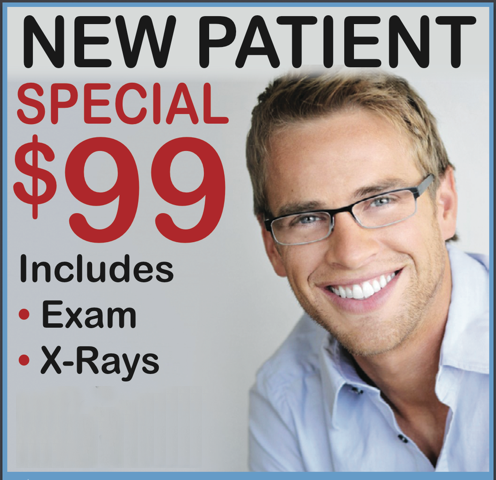 Dr. Ross is a highly trained Keene Dentist who has been restoring smiles for over 28 years. Call Keene Family Dental and find out if dental veneers are right for you.